Anchor Bay Films has picked up distribution rights to Pathe Intl. 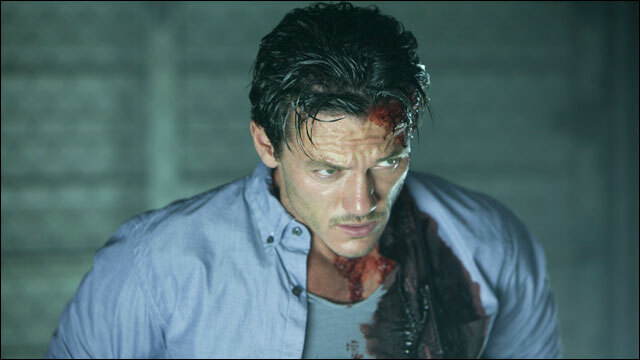 and WWE Studios’ horror pic “No One Lives,” starring Luke Evans. Distributor will release the movie theatrically in North America, the U.K. and Australia and handle the homevideo release across various platforms. Helmed by Japanese director Ryuhei Kitamura (“Midnight Meat Train,” “Versus”), pic revolves around a ruthless criminal gang that takes a young couple hostage in an abandoned house. When the captive girl is killed, the tables are unexpectedly turned and the gang finds itself outsmarted by a seasoned killer. Penned by David Cohen, movie premiered during the Midnight Madness screenings at the Toronto Film Festival this year. Milk & Media’s Harry Knapp and Constance Media’s Kami Naghdi produced the film, financed by Pathe and WWE Studios. Knapp developed the script. Anchor Bay deal, announced by prexy Bill Clark heading into the American Film Market, follows the release of WWE Studios thriller “The Day,” which Anchor Bay also distributed. That pic was picked up at last year’s TIFF and released theatrically in August. Anchor Bay recently released “10 Years,” starring Channing Tatum and Rosario Dawson, and “Seeking Justice,” with Nicolas Cage, January Jones and Guy Pearce. WWE Studios president Michael Luisi paired up to co-produce “No One Lives” with Pathe last year ( Daily Variety , May 9). Deal repped WWE’s first major co-financing and production pact since deciding to fund its own slate of movies independently in early 2010. In addition to Evans, “No One Lives” co-stars WWE’s Brodus Clay, Adelaide Clemens, Lindsey Shaw, Derek Magyar, Lee Tergesen and America Olivo. Upcoming WWE Studios films include the Colin Farrell-Noomi Rapace thriller “Dead Man Down,” which was co-financed with IM Global and will be distribbed by FilmDistrict; Halle Berry vehicle “The Hive,” with Troika Pictures; Scooby-Doo toon “The Curse of the Ghost Bear!” with Warner Bros. Animation; and “The Marine: Homefront” and “12 Rounds: Reloaded” as direct-to-homevid titles with Fox.